Vault is a well known archetypal form of architecture. 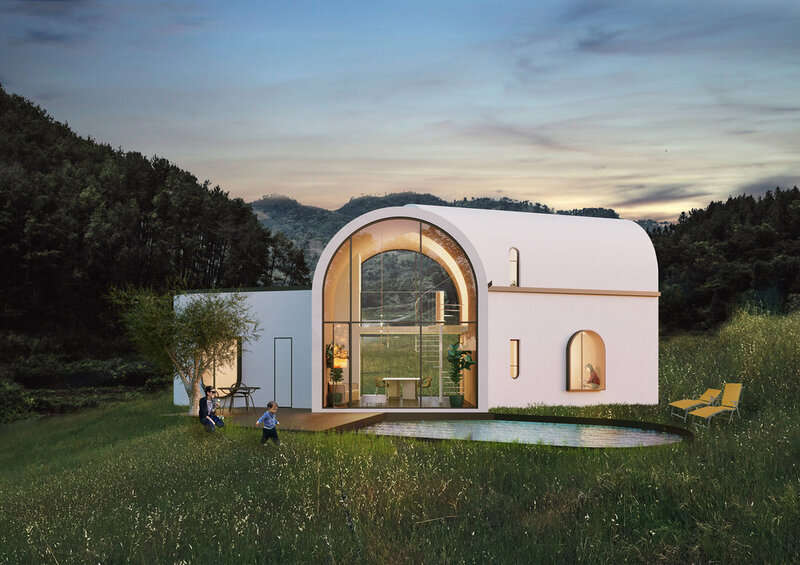 By using vaulted spaces as modules, the Vault House creates a contemporary experience. It has an open configuration that connects all living areas and outdoor spaces in one unhindered continuity. We also looked into alternative construction method to maintain the massive materiality while streamlining the construction process. As part of Minihouse series, this allows ample interior space of 134 sqm with expandable mezzanine area.